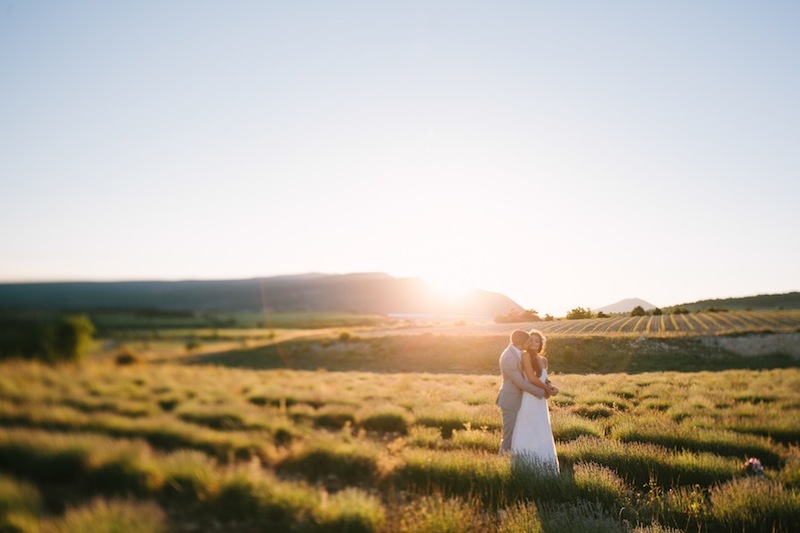 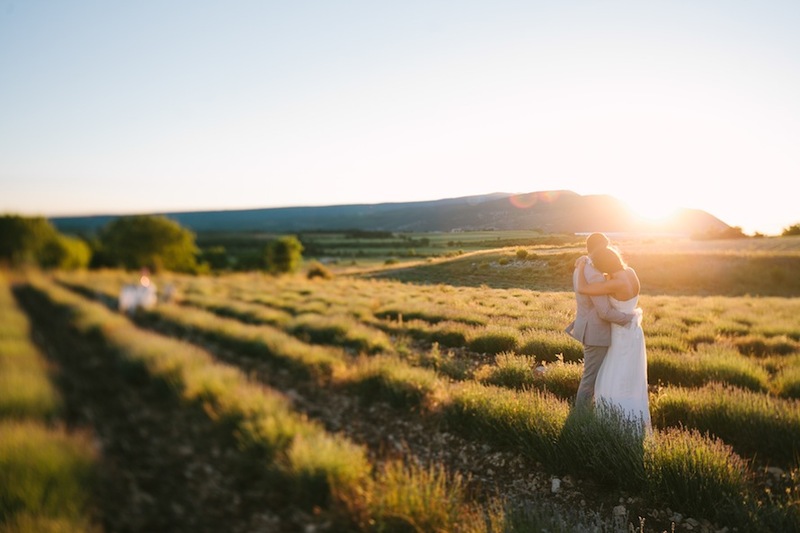 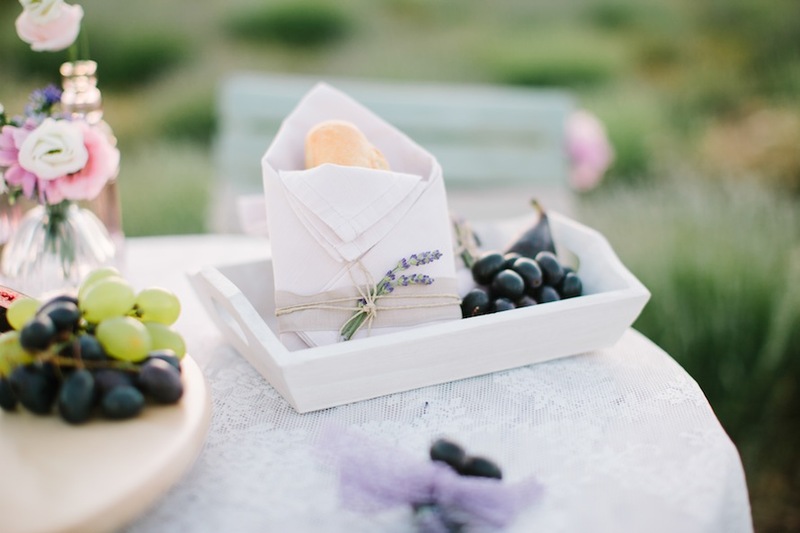 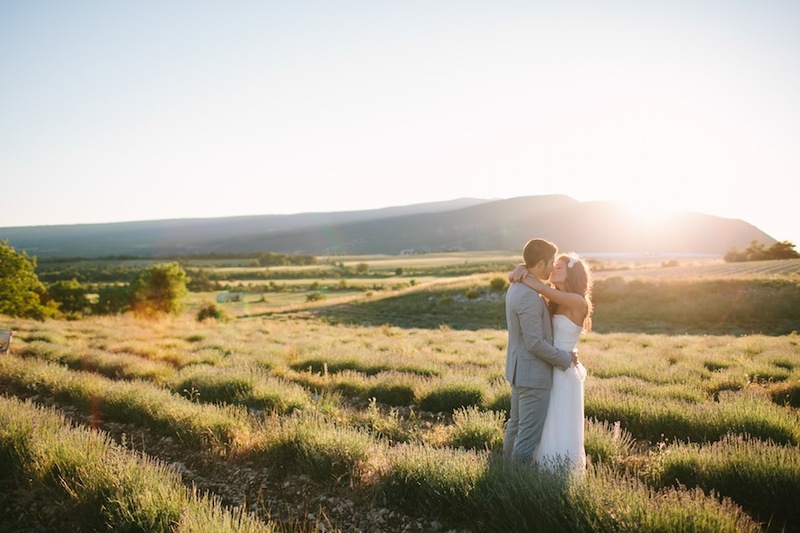 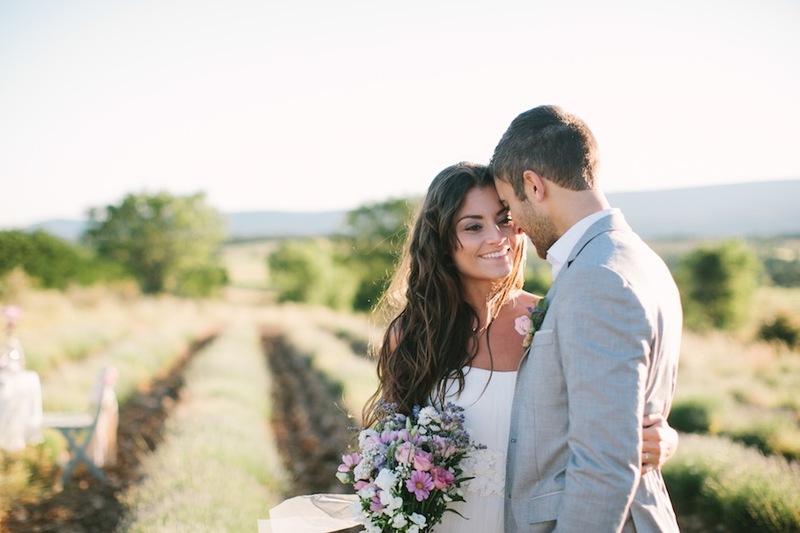 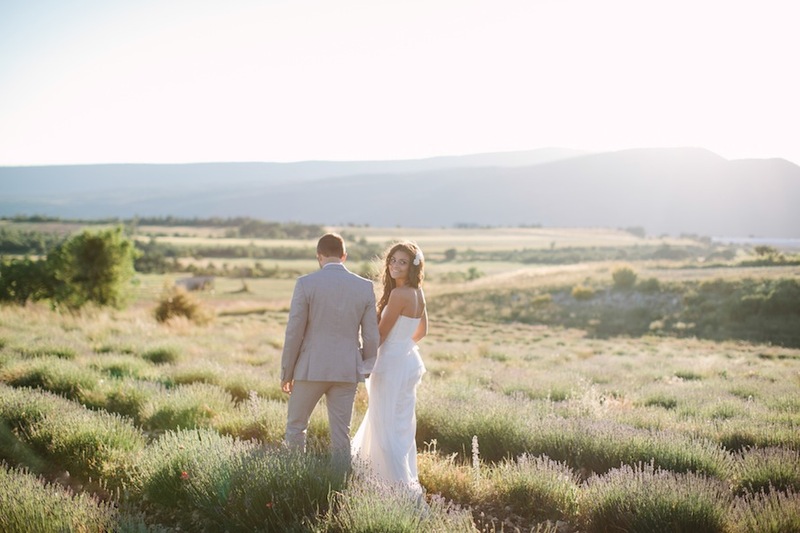 France Wedding Inspirations: In the beginning of this year Julia Winkler Photography and I were planning to escape the cold spring in Germany and to go to France to get some nice pictures in the middle of some lavender fields. 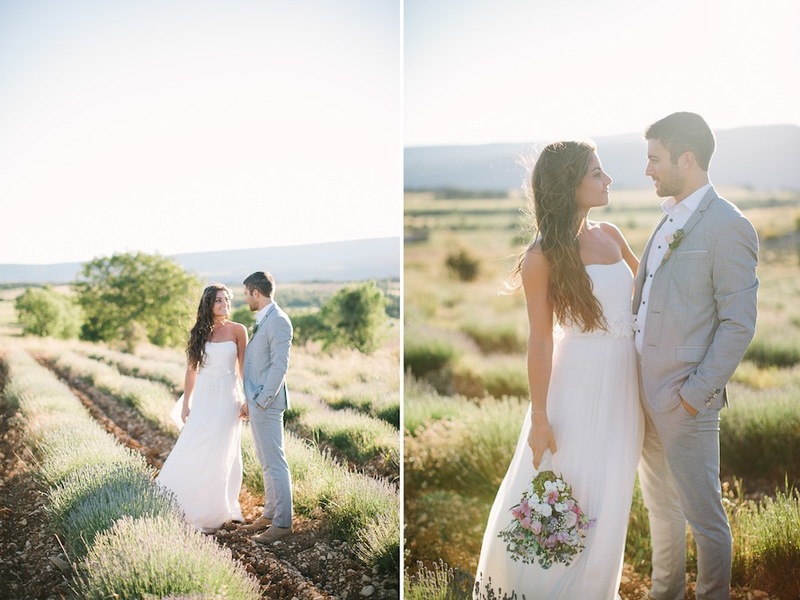 We were so excited about the atmosphere in the middle of some lavender fields. 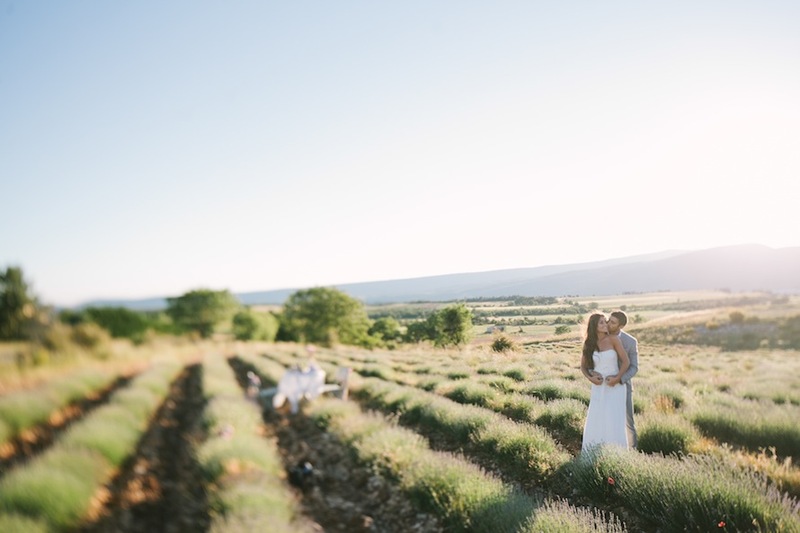 As we arrived in the Provence, the lavender fields were not as perfect as on all the postcards as the winter has been very cold, but we could feel the warm sun on our skin and there was this great lavender smell in the air. 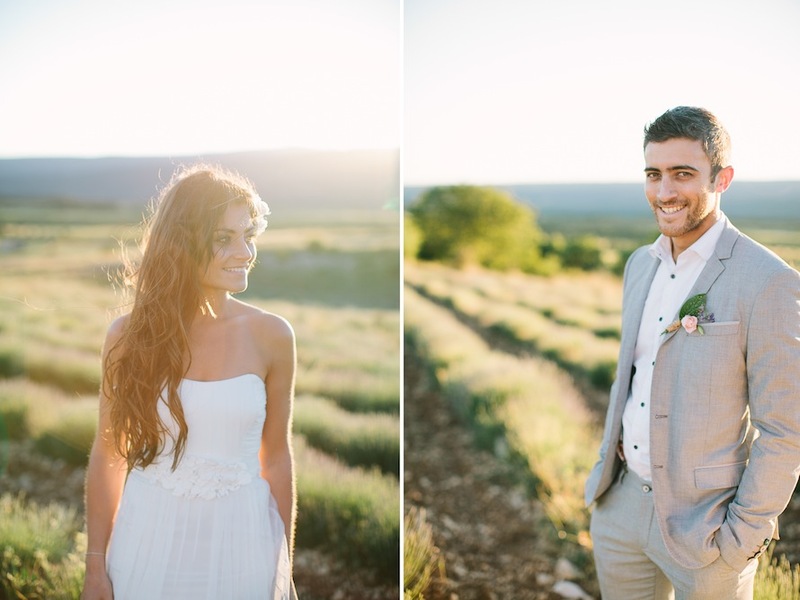 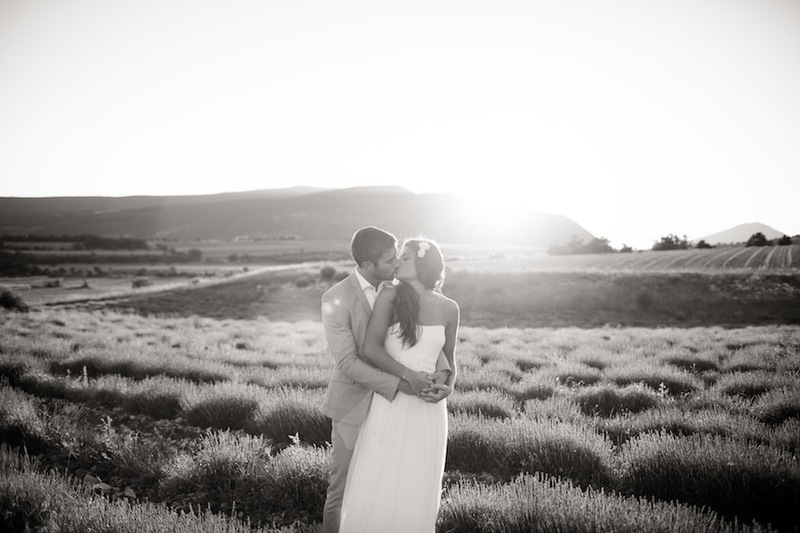 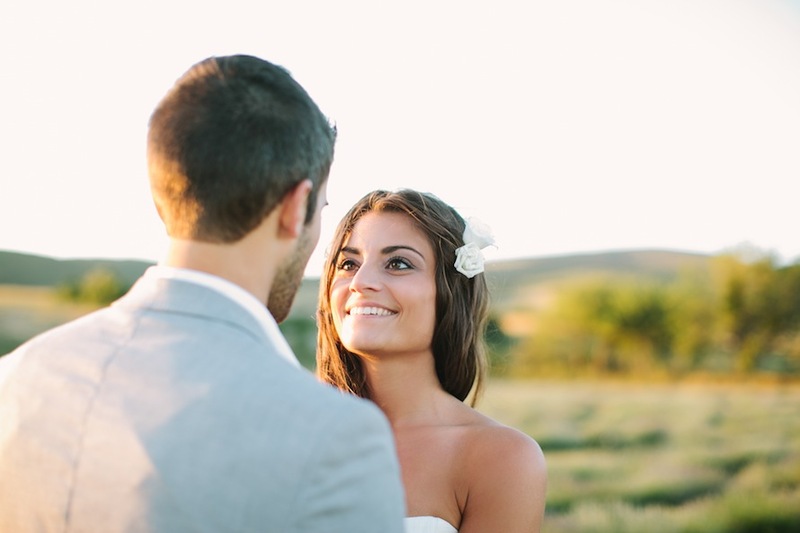 It was a perfect day for the styled shoot with our couple Laura and Matthieu. 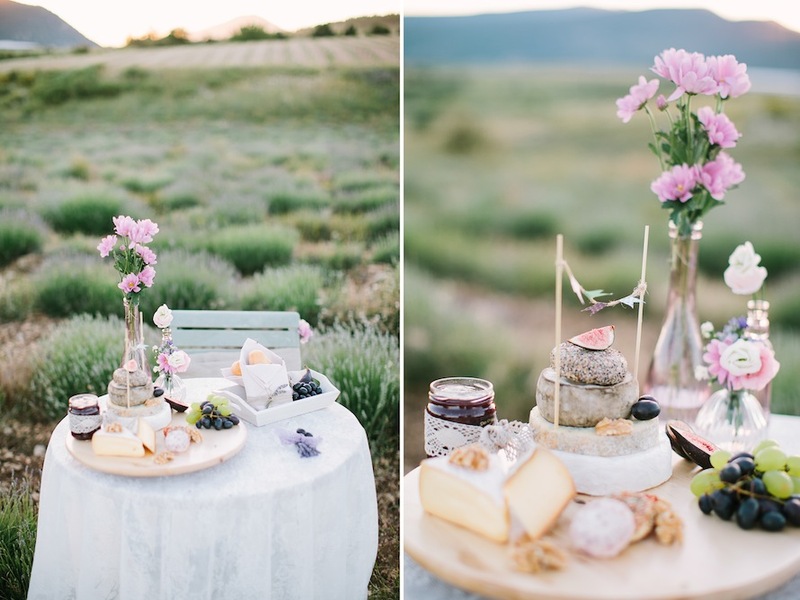 Tanja and Anna from “Ab unter die Haube” created a wonderful concept for the shoot in the middle of some lavender fields. 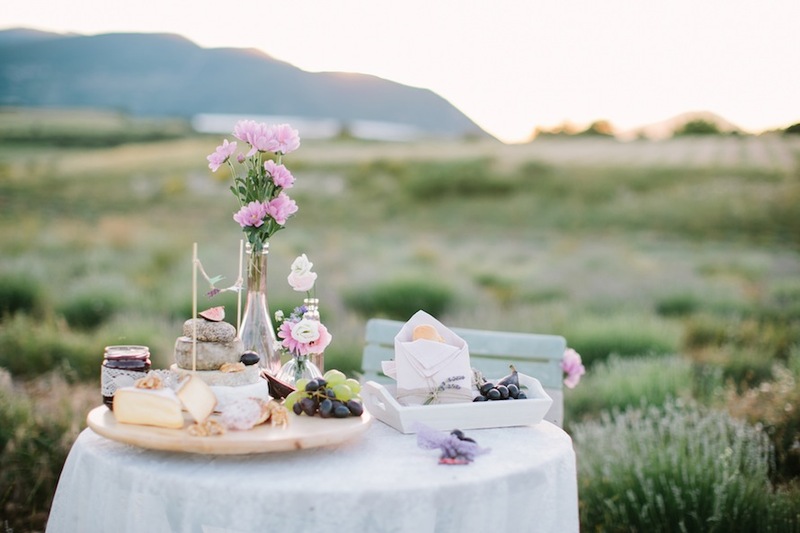 The colors fitted perfectly to the nature. 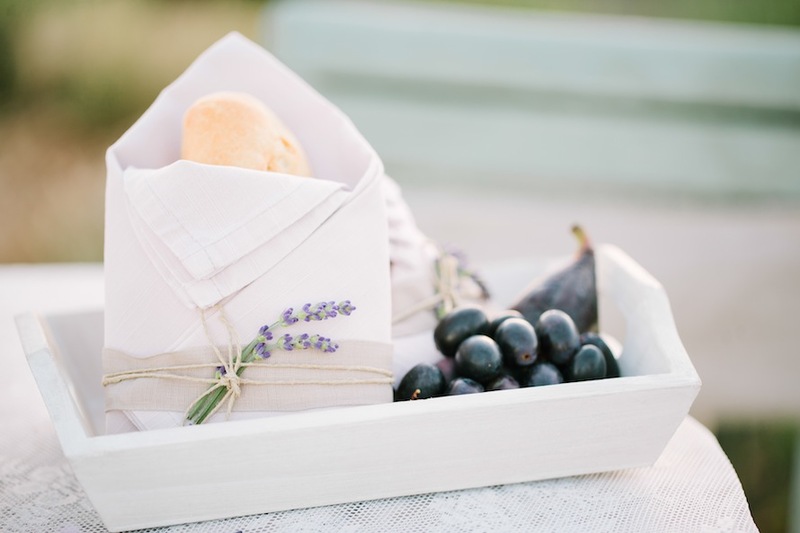 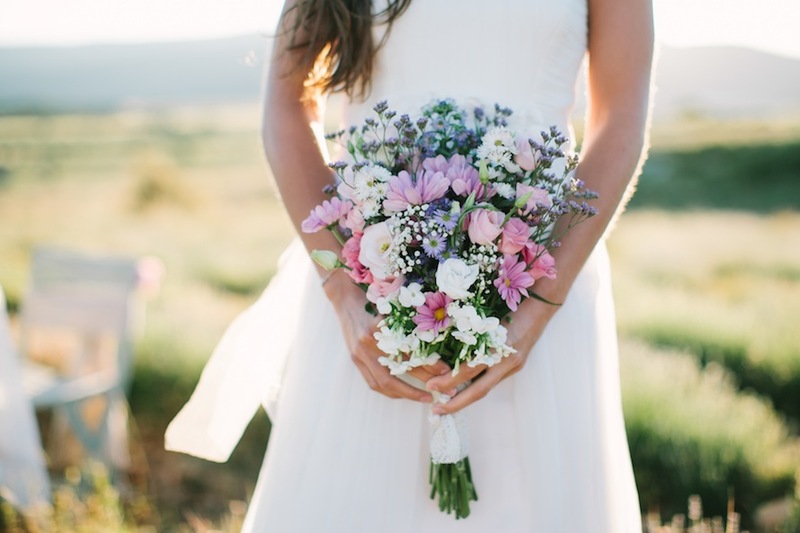 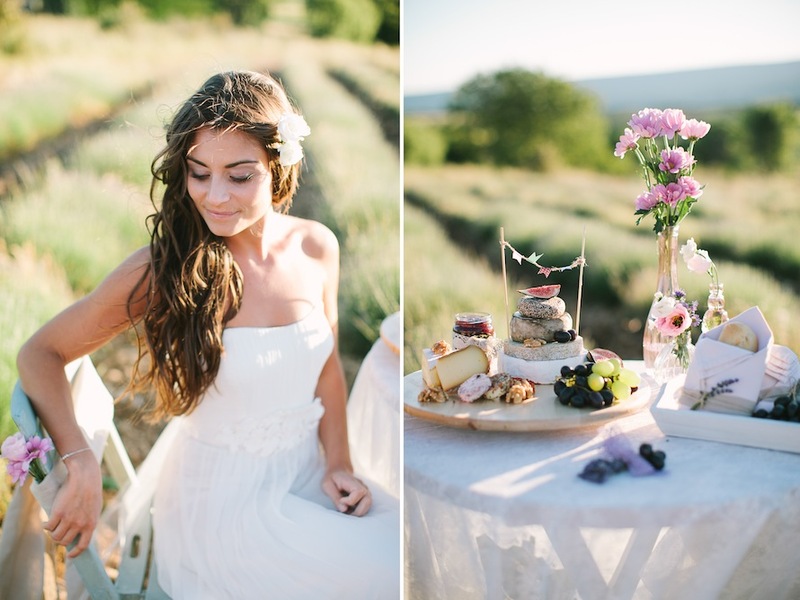 The concept was very rustic and romantic with some lavender colors and with a lot of sweet details. 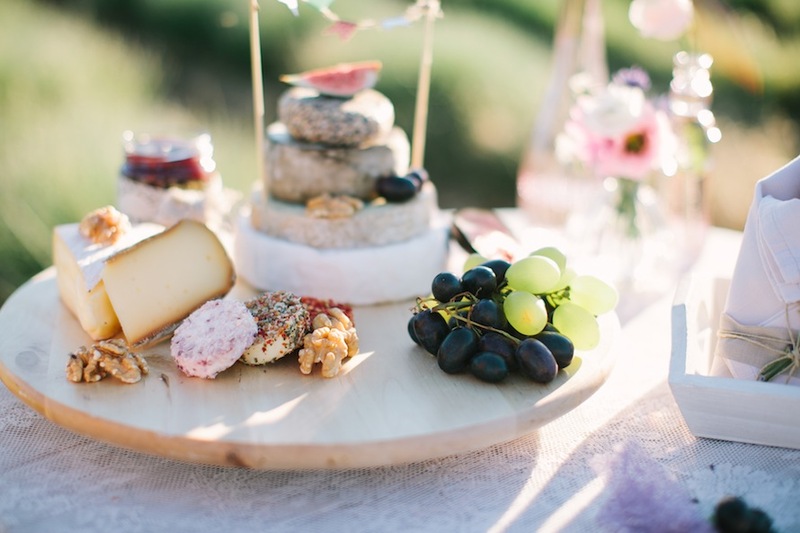 We included some typical regional products like cheese, fig and grapes. 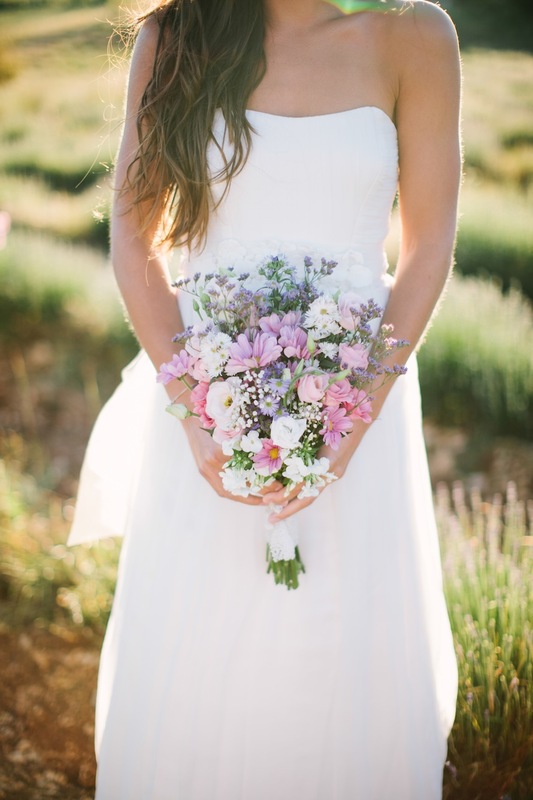 The bouquet was also very natural and with some sweet flowers. 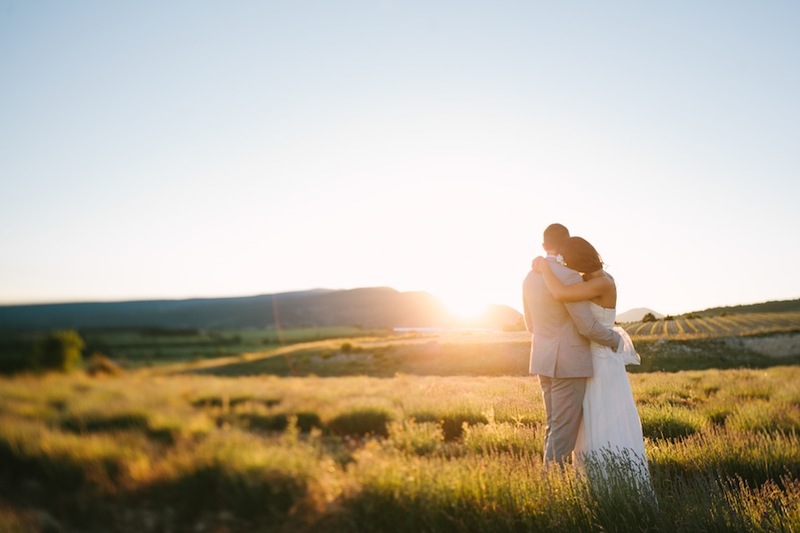 Jessy Nitsche, a make-up artist from Tübingen created a perfect natural make-up and the weather was as perfect as the couple. 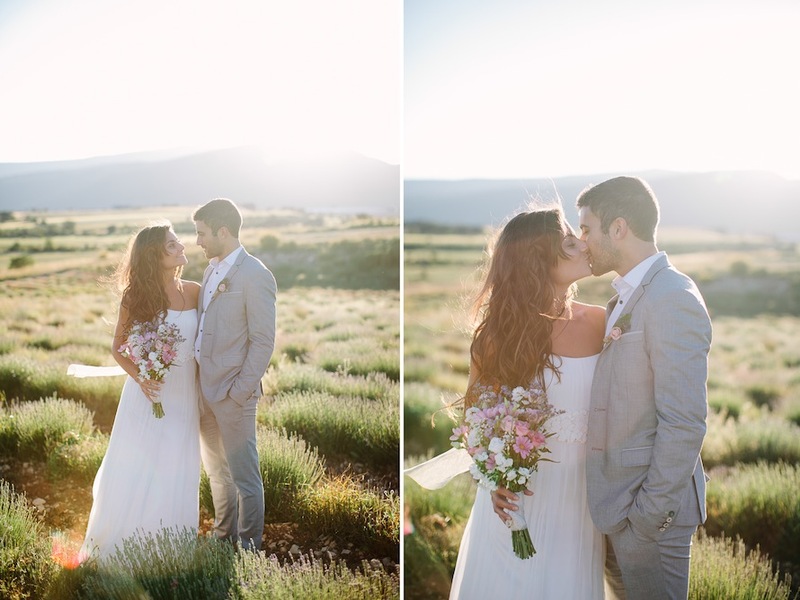 We had a magical sunset and took some great pictures while enjoying the atmosphere. 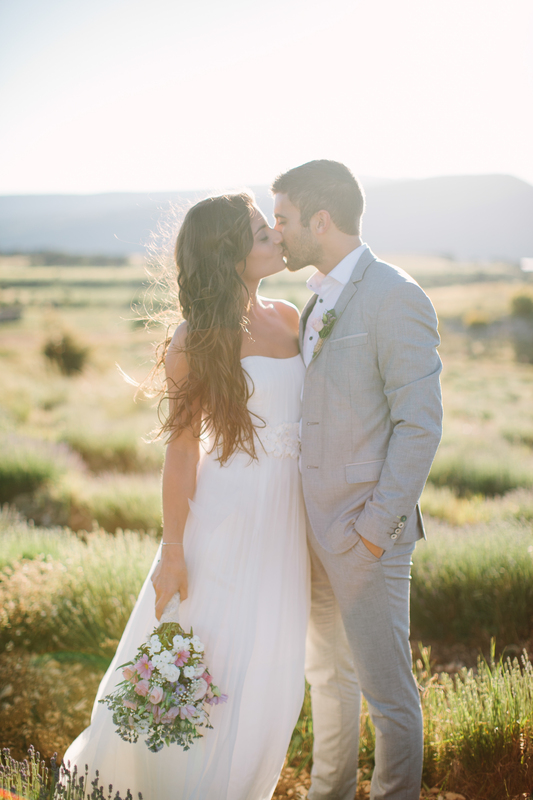 We hope you love the pictures as much as we do. 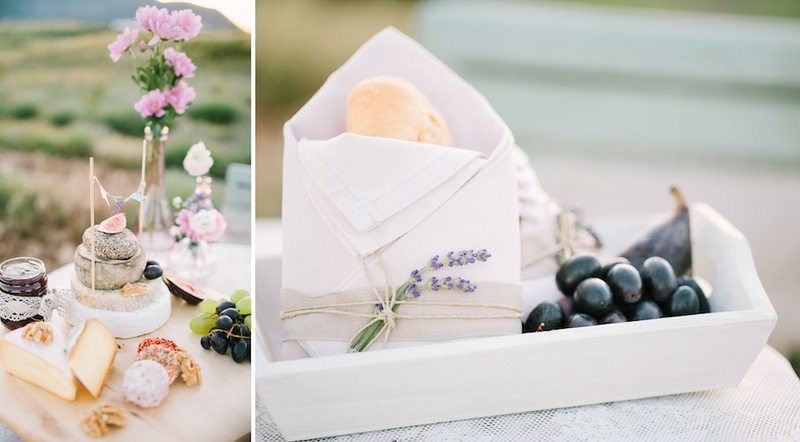 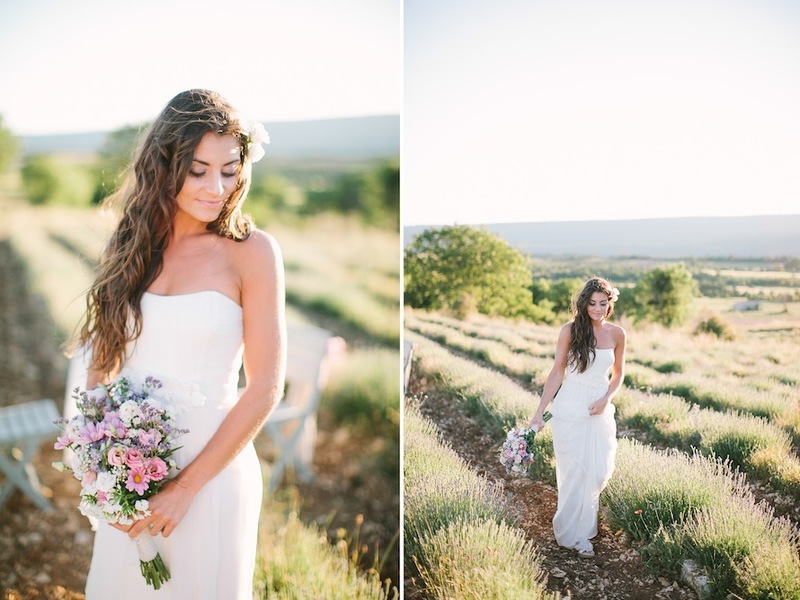 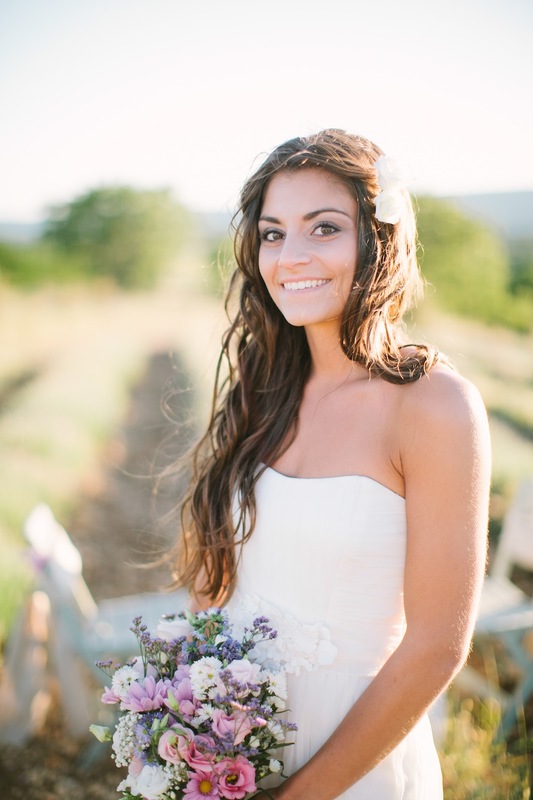 Wedding Inspirations in the Provence / France.